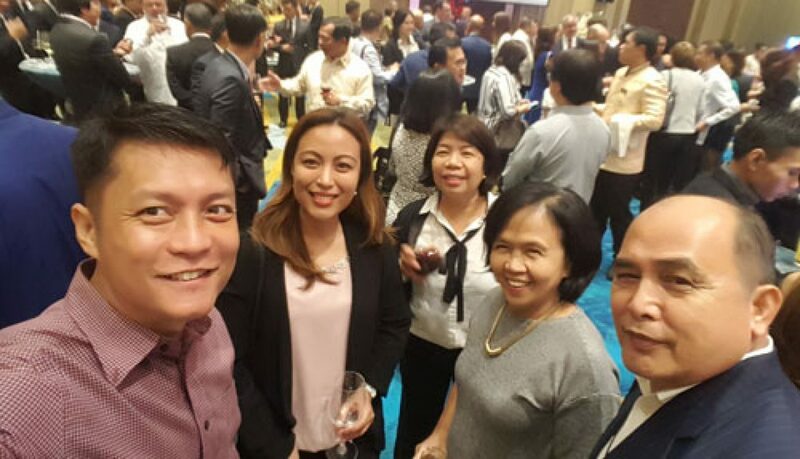 Meetings – 2017 – Philippine KOICA Fellows Association, Inc. In addition to commemorating PHILKOFA’s “sweet 16,” the activity aimed to impart to new and old members alike PHILKOFA’s plans and activities for CY 2017 in line with KOICA’s recent policy guidance. It was also an occasion to renew acquaintances and friendship as well as form new bonds and linkages that will revitalize the organization in the years to come. Mary Gold Esparas, Program Officer of Korea International Cooperation Agency (KOICA) conveyed the message of Mr. Shin Myung Seop, Country Director, KOICA to PHILKOFA. Firstly, he offered his congratulations to PHILKOFA for its 16 years of existence and its continuing efforts of keeping together KOICA trainees who were graduates of KOICA’s Fellowship programs. He encouraged PHILKOFA to conduct/facilitate more technical and knowledge sharing activities to propagate the learnings and best practices that the KOICA scholars have acquired from their respective training programs. He also signified his intent for PHILKOFA to broaden its linkages with national government agencies, local government units and Korean NGO’s and communities in the Philippines. Finally, he reiterated KOICA’s support to PHILKOFA’s endeavors for CY 2017 and in the years to come. President Lee Ho Ik of the Korean Chamber of Commerce in the Philippines (KCCP) offered his heartfelt congratulations to PHILKOFA. He mentioned the robust ties between KCCP and PHILKOFA, particularly on the increasing number of scholars that KCCP is supporting. He was pleased to meet the KCCP scholars during the KCCP General Assembly last April 2017. Further, he was satisfied that KCCP, through PHILKOFA, was able to help these students until graduation and begin a new chapter in their lives. Two (2) PHILKOFANS shared the best practices, observations and application of the training they had in Korea as KOICA scholars. Jonas James Agot, Operations Officer, Department of Interior and Local Government-National Capital Region emphasized three (3) things that the Philippines could adopt from Korea for disaster response: 1) preparedness at all times of personnel and the community; 2) state-of-the-art equipment; and 3) secure welfare of the responders and their families so that the responders can totally focus on their work. Margarita Dizon, Civil Engineer, The Philippine Institute of Volcanology and Seismology emphasized the importance of continued/shared learning with nations who are prone to volcanic, earthquake and tsunami activity in order to enhance efficiency and capability to monitor and mitigate disasters of these countries.